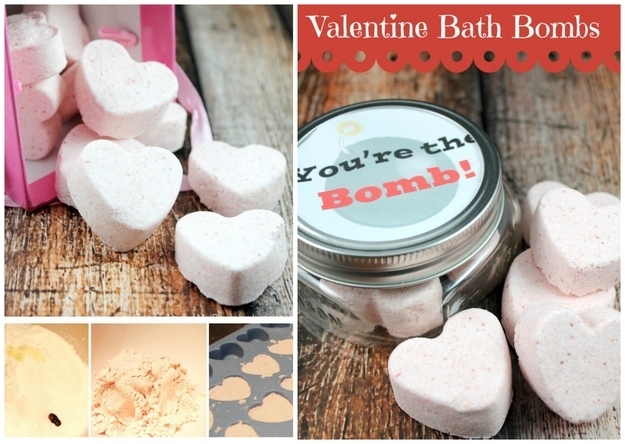 There really isn’t a better way to conclude our series on handmade gifts than with a Valentine’s Day inspired Gift Guide! On the day we celebrate love in all its splendor, it’s our chance to tell the ones we love what is is we cherish about them. Tell him you love his half-smile. Show her you appreciate every “just checking in” text. 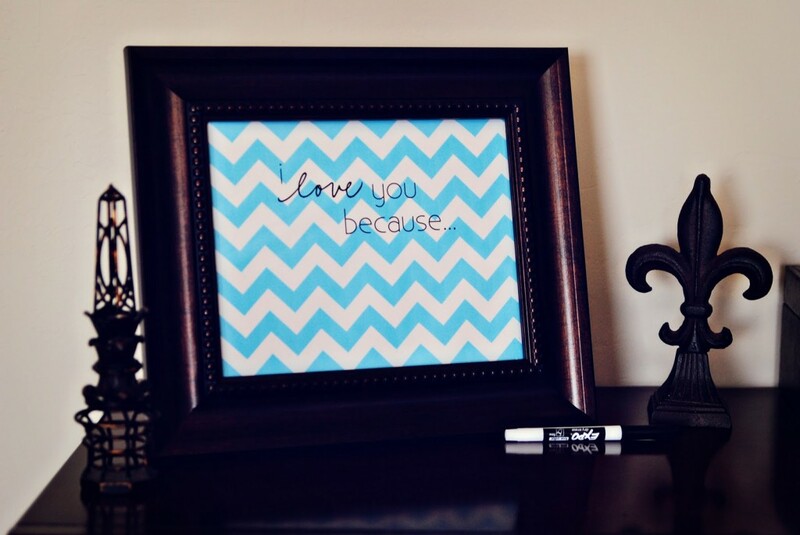 A personalized gift is the perfect way to show how you exactly how you feel. After all, actions speak louder than words! 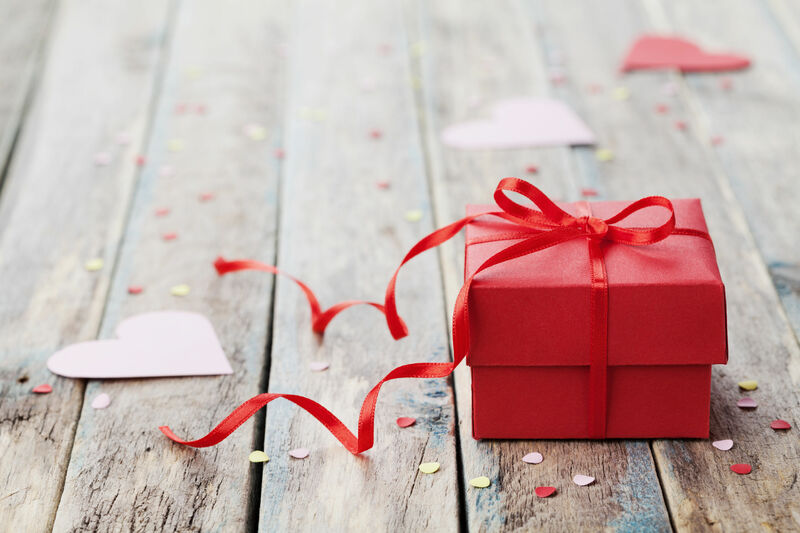 So get lost in the lovey-dovey, sometimes cheesy but always beautiful spirit of Valentine’s Day by presenting your “bae” with a gift they will appreciate long after the cozy winter months are over. Here’s our final handmade gift guide of the season. And the award for best girlfriend goes to…Personalize his second-greatest love (you’re first, obviously!) with some sweet Valentine’s Day love. 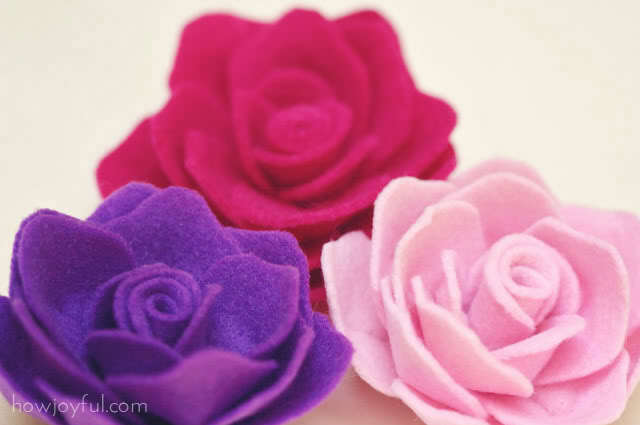 Buy some swoony Valentine’s Day discount fabric and get crafting (no pun intended!). How sweet is this? By putting together some household items, you can create a truly heartfelt, creative, and adorable gift that anyone would love! 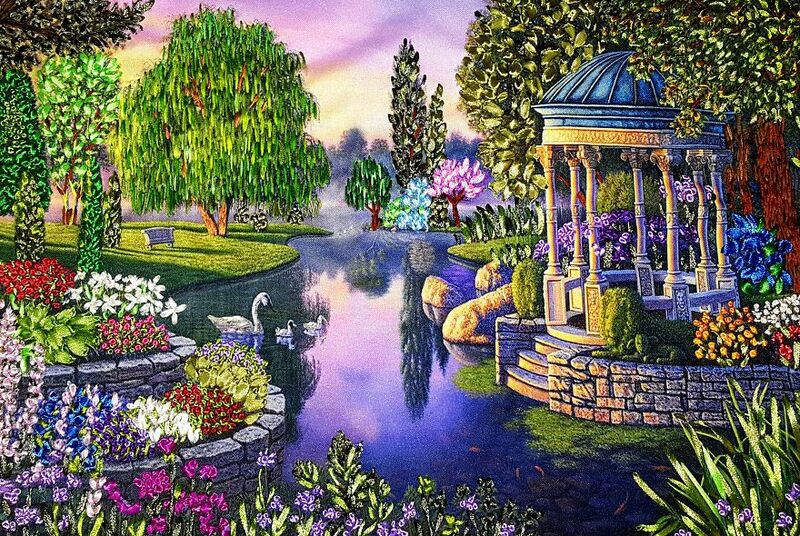 Add this dreamy fabric as your background and you’ve got all your gifts covered-literally! 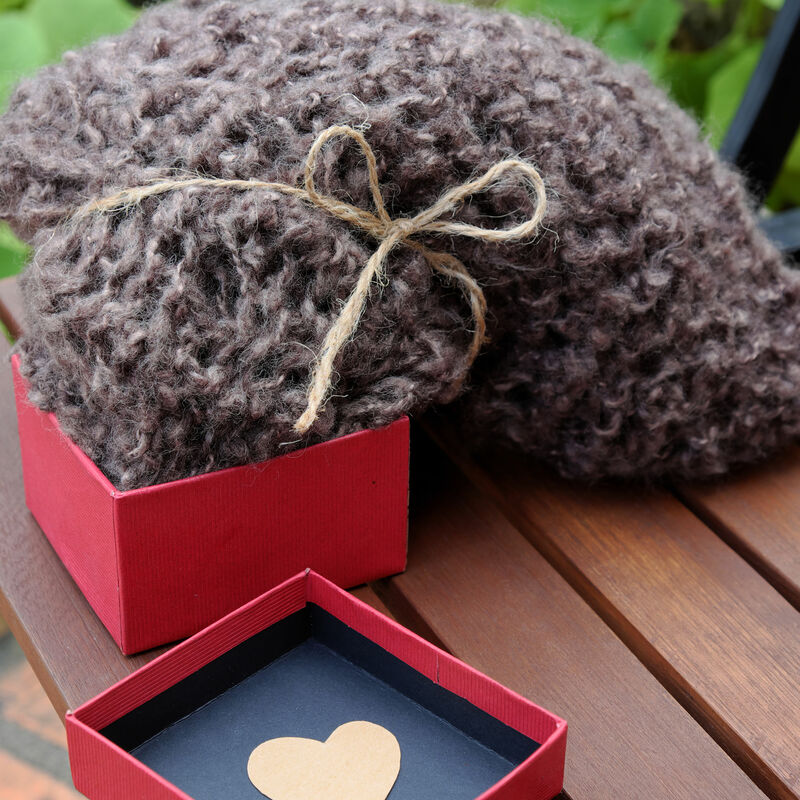 Finally, there’s nothing like a warm-and-fuzzy sweater to keep your one true love warm! 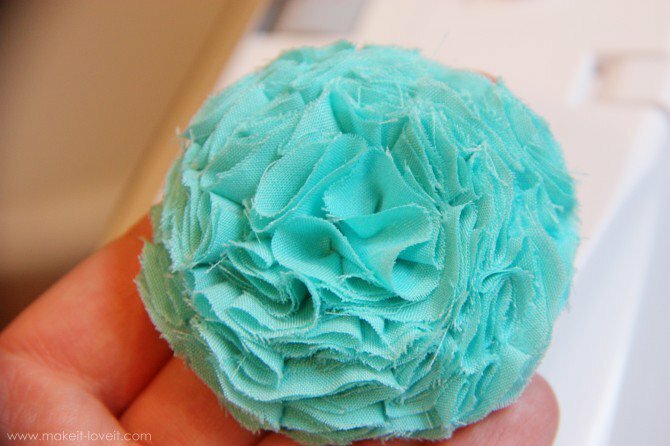 This DIY is almost too easy: no sewing skills required! In face, the messier these patches are, the cuter. Add a little love to an everyday sweater and then huddle up for your movie night! Check out the DIY HERE. We hope your Valentine’s Day is full our laughter, love, and joy. 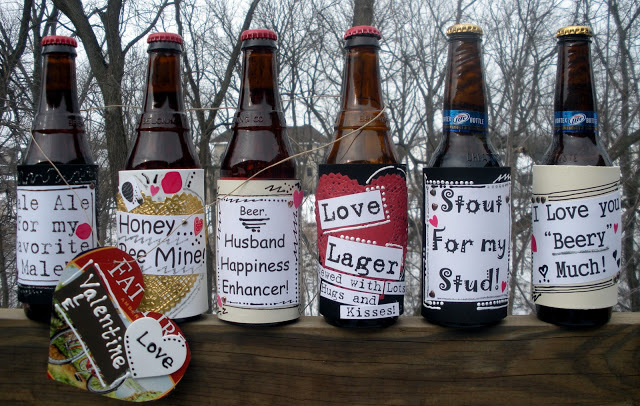 And for those of us who are footloose and fancy-free, don’t forget your closest pals and surprise them with a DIY or two! Let us know how your DIY projects went, or better yet, share a pic on social media with the hashtag #LoveBarras! Happy Holidays! 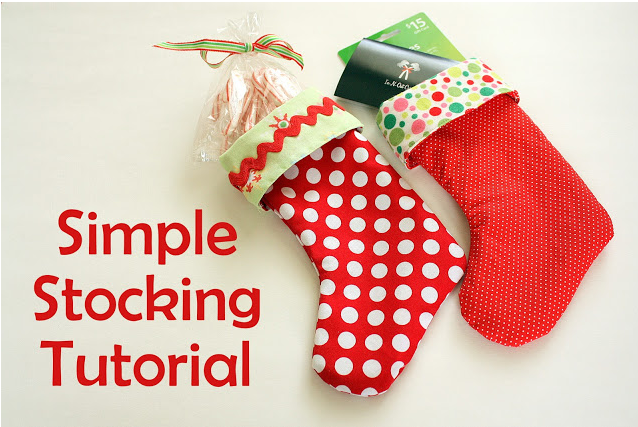 Here’s some Festive DIYs! Happy Holidays from Barras Fabrics! We can’t wait to gather round the tree, breath in the warm and spicy smells, and of course, unwrap our growing mound of presents. Something about the holiday season seems to make the simplest things, like cookies, flannel pj’s, and cartoons, seem magical. Your home (or apartments or dorm room) is like your little corner of the world: why not dress it up for the holidays this year? Give your space the Christmas treatment with these festive DIY’s, curated from the top bloggers on the web…plus our recommendations for the most festive discount fabrics to finish the look! 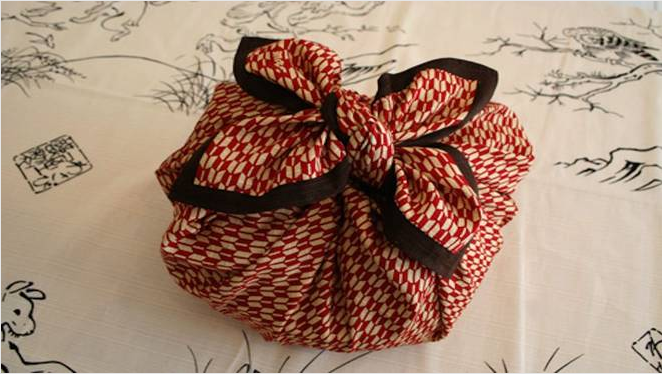 Save time, money AND the environment by exploring the Japanese art of “Furoshiki”, or fabric gift wrapping. Read this DIY now. Here’s some awesome fabric perfectly suited for wrapping your gifts Furoshiki style! 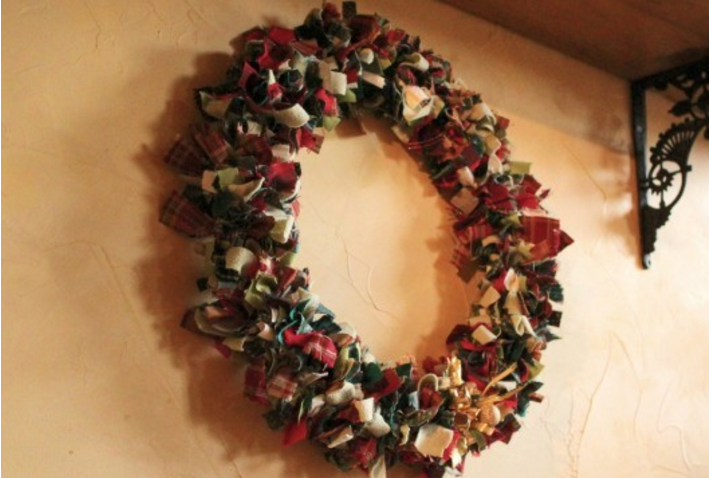 And last but not least, how magnificent is the Fabric Wreath? 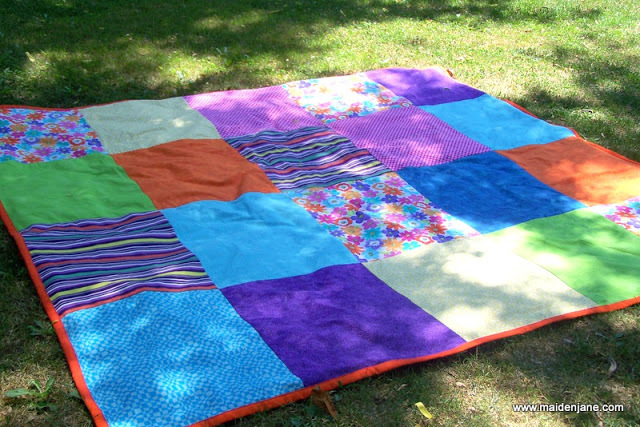 You can use up all your spare fabric to create this one-of-a-kind masterpiece.Learn How Here. We can’t wait to share another incredible year with you here at Barras Fabrics! Happy Crafting, and a happy new year! Stay Warm with a DIY Scarf! Nothing says â€œFall is here!â€ like a thick, comfy scarf. This humble neckwear can actually be worn all season long as an incredibly versatile accessory! Throw it over a big sweater and jeans and rock the â€œwinter chicâ€ look, or leave the ends loose and hanging to spruce up your simple turtleneck. Scarves can add a happy pop of color to your outerwear, which, letâ€™s be honest, usually consists of a drab, black-to-navy palette. Struggling for a gift idea? Buy your buddies a wide, soft scarf in a happy pattern and wait for the â€œI wear it every dayâ€˜s!â€ to come rolling in. Or better yet: make a scarf yourself! Whether you gift your handmade neckwarmer or keep it all to yourself (donâ€™t worry, your secret it safe with us! ), youâ€™ll definitely enjoy the super-simple process as much as we do! One super-chic reversible scarf coming right up! 1-Lay the layers on top of each other. Make sure the edges line up evenly! 2-Begin stitching down the sides, carefully adjusting the layers so the edges are always lined up. 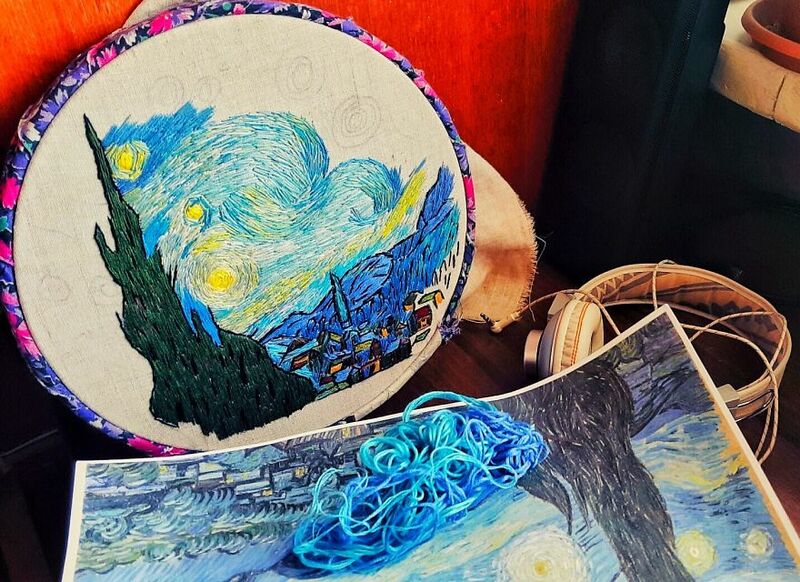 Donâ€™t worry about creating perfect, even stitches: perfect is boring! Wide, easy stitches will look just as chic. 3-Now here comes the fun part: Once the sides are sewn, you can create fringes! If you’re using a woven fabric, find a horizontal thread and pull it out. 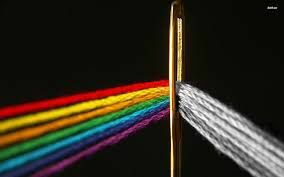 How satisfying was it to watch those little threads unravel? Keep pulling out horizontal threads until you get the length of fringe you want. Go crazy! 4-If youâ€™re using woolen fabric, cut even lines into the material, about an inch up from the bottom. 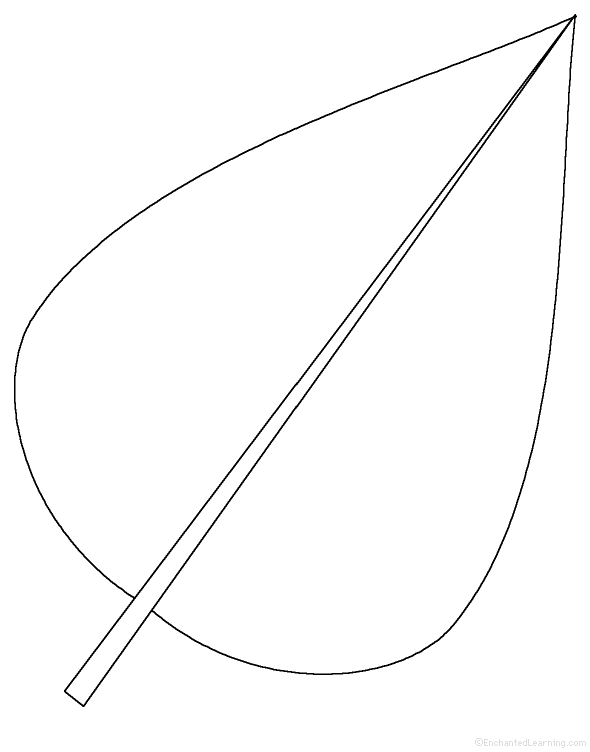 The ideal spacing between the fringes is Â¼ – â…› of an inch. 5-Once your scarf has the fringes you want, stitch a straight line Â Â¼ above where the fringes begin. 6-Iron your new favorite Autumn accessory with all the TLC your â€œhard workâ€ deserves! Feel free to go crazy with appliques, fringes, and even pom-poms. The beauty of a well-made scarf is that you can go as wild with the patterns, colors, and styles as you like, and STILL not have it monopolize your outfit! 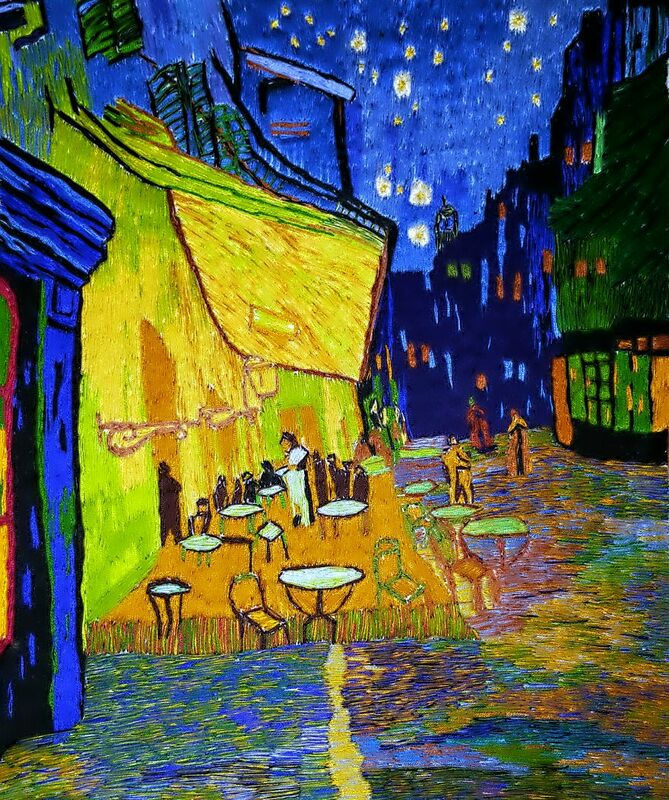 And best of all-you donâ€™t have to brave the cold until your scarf is ready- just order some snazzy prints from your favorite online fabric store and get busy! Have you tried this DIY treat yet? Show off your creative genius and upload a picture of YOUR homemade scarf! Looking for an easy, useful, and fun weekend project? Look no further! Accent pillows are the chicest Â way to add a punchy pop of color to any room. Pillows are also completely personalizable, from the shape to the pattern to the color to where you place them. And once youâ€™ve got the perfect size picked out, you can jazz it up any way youâ€™d like with your favorite decorative fabrics, embellishments, and accents! Hereâ€™s a cozy, warm design you can easily recreate at home. We canâ€™t wait to get comfy on the couch with a cup of tea and these seasonal-inspired accent pillows! -Brown, Cream, and Red fabric. 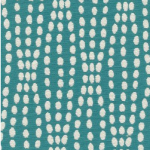 STEP 1: Â Trace the template below onto the accent fabric using a high-quality fabric marker. Â (You can re-size the leaf on your computer to best suit your pillowâ€™s size.) Weâ€™d recommend eight to ten leaves to sew onto the corner of your pillow, but feel free to add as many-or as few- as youâ€™d like. STEP 2: Starting from the corner of the pillow, begin sewing tight, simple stitches in branch-like lines diagonally down the surface. STEP 3: Sew leaves at random intervals at the end of your sewn branches. 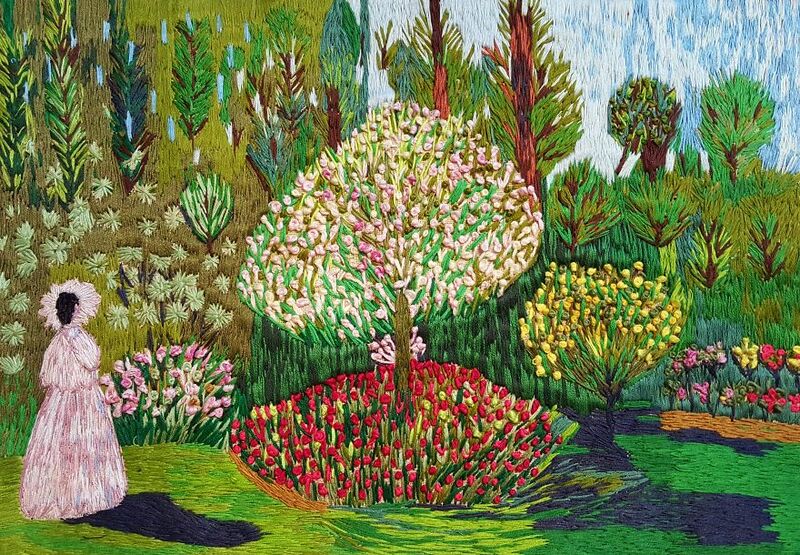 Make sure to sew differently colored leaves at the end of each branch to prevent uniformity. STEP 4: Double stitch down the center of the leaf to ensure they wonâ€™t fall off. If youâ€™d like, sew additional â€œveinsâ€ from the center â€œstemsâ€ of the leaf for a quirky touch. 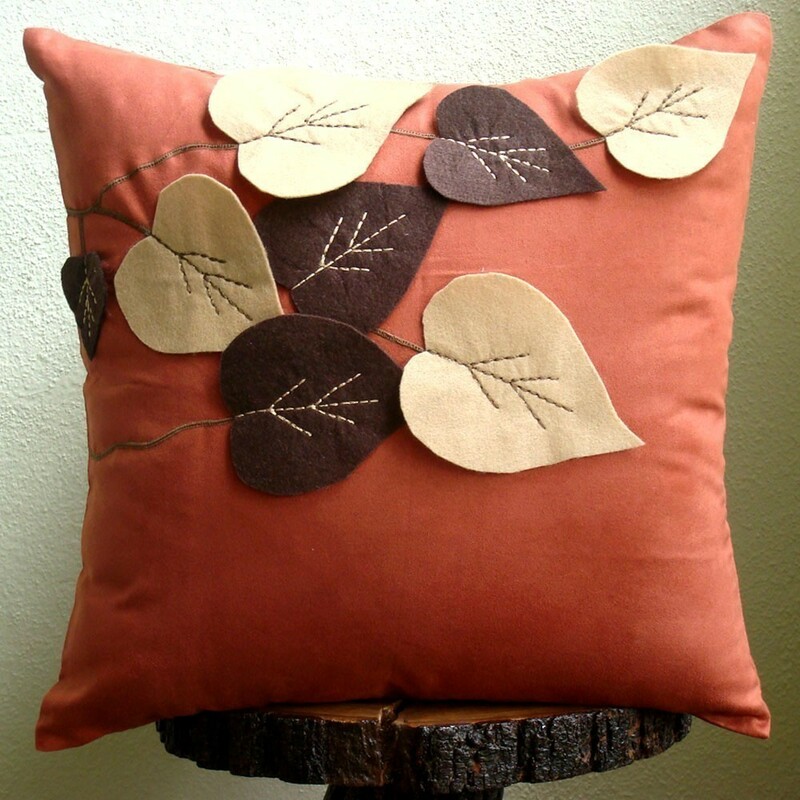 Enjoy your super-cozy Fall themed accent pillow! Looking for you next kill… ehrÂ DIY project? With summer approaching fast, there’s so much to get done! The patio needs updating, the living room could use freshening up and that kitchen could use a bit of color to brighten things up. Making these changes yourself is oh-so-fulfilling, not to mention wallet-friendly! 1) These basic folding chairs are transformed into festive, party chairs with just a bit of fabric. Check it out at Design Sponge. 2) This woman totally transformed her deck with these beautifully upholstered chairs. 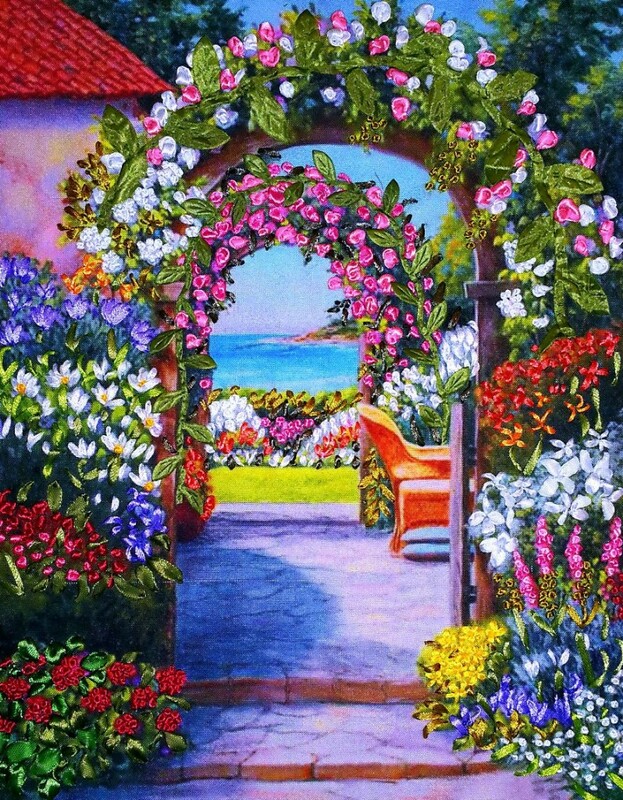 You have free reign when it comes to the look and feel of your patio. You’ll just need to figure out how to work that sewing machine! Check it out atÂ confessionsofaserialdiyer.com. 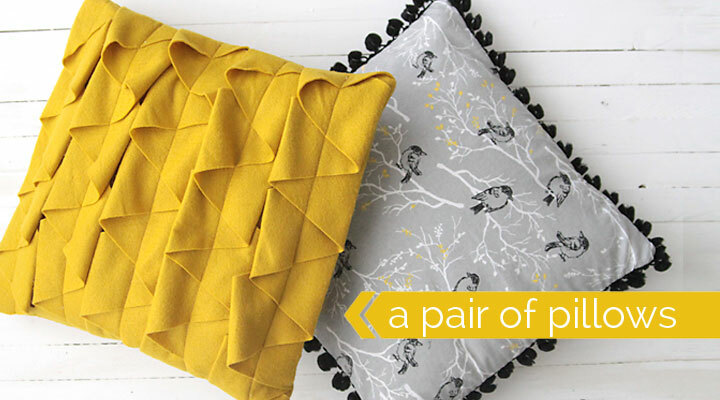 Found your DIY inspiration and just need to find the right fabric to get started? Check outÂ http://barrasfabrics.comÂ for loads of options. Here’s one of our cutest summer prints. Â Now get those creative gears going and get to work! Every year, the fashion industry brings in new colors for us to fall in love with all over again. This year has been a time of bright, yet calming tones that call for us to escape the bustle of everyday life and relax with all that isÂ whirlingÂ around us. Think colors like this pallete ofÂ turquoise, red and yellow. The best thing about new hues is that we’re called to make some changes of our own around the home. Why not liven the place up with this DIYÂ project that will have you ditching your old dining room chairs for something a littleÂ more funky. Staples are placed around the seat after the cushion has been glued on. 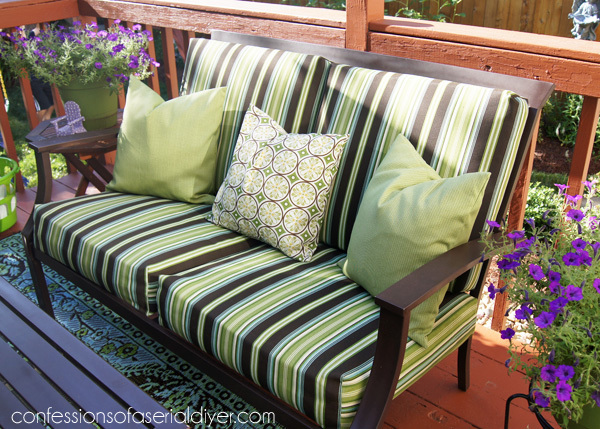 As long as you have a couple of sturdy chairs, you’ll find this project to be quite simple. You’ll start by unscrewing the seat from yourÂ chair and adhering a piece of foam to fit the form of the seat.Â Next you’ll want to select your fabric. 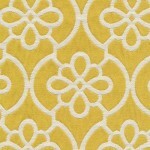 You can find something in ourÂ extensive collection atÂ www.barrasfabrics.com. 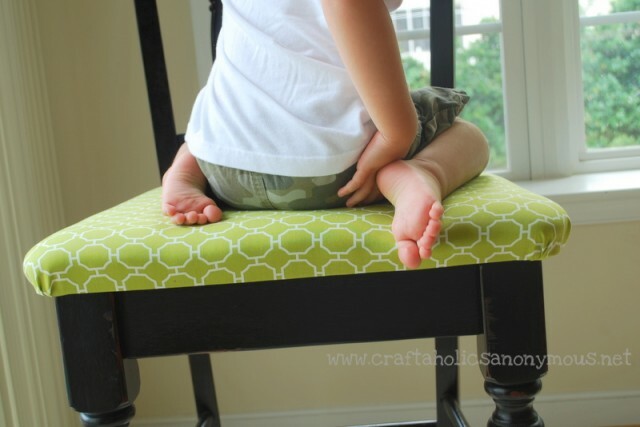 Cut enough so that you can wrap the fabric around the chair and begin to staple along the length and width. 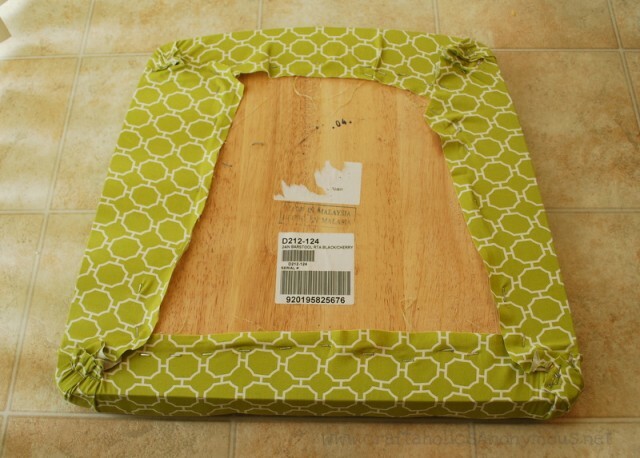 When you’re done with that, you’ll have to fold up the cornersÂ neatlyÂ and staple that down. Once you’re done, you’re ready to put the seat back on your chair. For a more detailed explaination and step by step pictures, you can see how Linda at Craftaholics AnonymousÂ® updated her chair. Don’t forget to shop some of our sale items for an even better deal on your project. We’re always searching for new, easy-to-do DIY projects to share so that you can enhance your home without emptying out your bank account. If you work with fabric, making clothes, accessories, curtains, and such, you are definitely familiar with the experience of having leftover fabric scraps you don’t know what to do with. So you probably throw them out. Well, we’ve got a better idea coming! 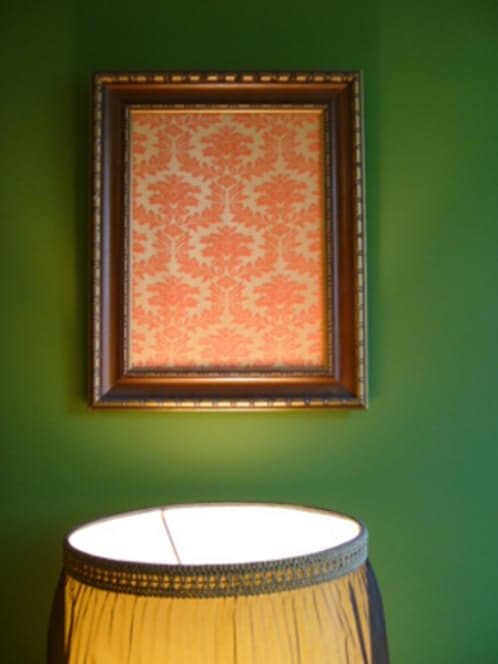 Instead of trashing perfectly good, albeit small, pieces of fabric, use them to add a bit of spice to your walls. We’ll tell you how. 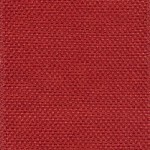 If you don’t sew often (or ever), you can check out Barrasfabrics.com for a wide selection of fabrics you can use to decorate with. Walls can make or break a room. Some walls utilize vividly colored paints to make the room pop. 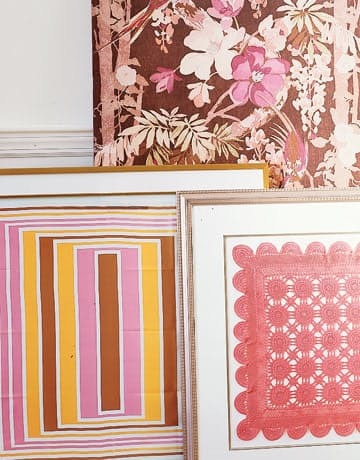 Printed wallpapers add unique style to a room as well. That’s not to say that bright and eye-catching is always the way to go! Sometimes understated grays or beiges are the best way to complement the furniture and decor in a room. 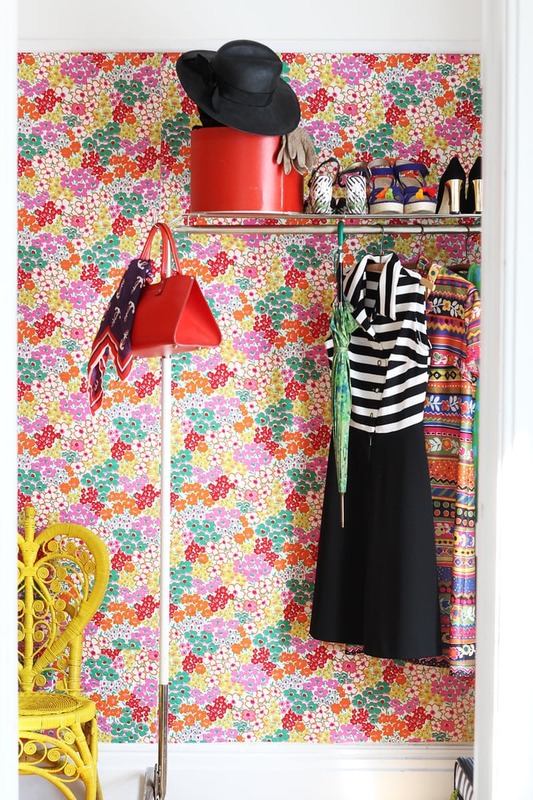 But, sometimes a smattering of fabric decals across your walls can totally change the way the room looks… for the better! Like what you see? 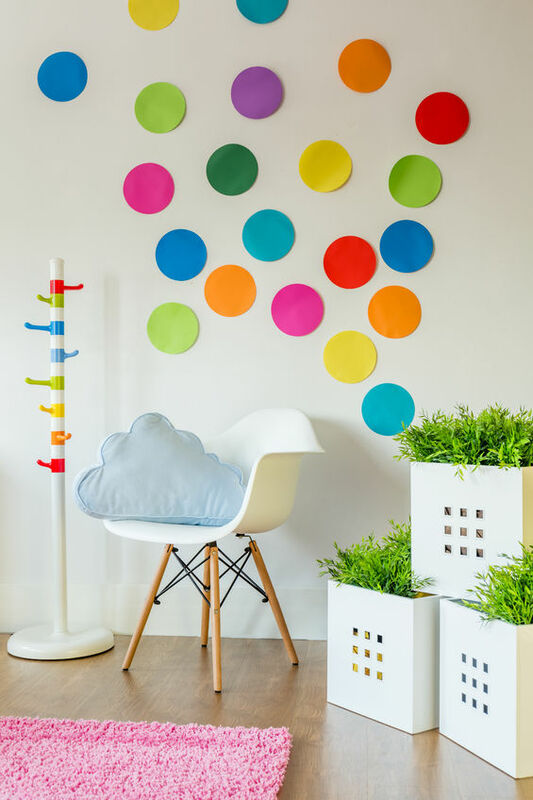 You can check out this blog on Popsugar for detailed instructions on how to get your handmade decals stuck on the walls without damaging your paint job.